Traveling in Southeast Alaska on an Alaska charter boat is a casual affair and we recommend packing with this in mind. Even in the best restaurants casual jeans are quite acceptable. Your goal should be to stay warm, dry and comfortable as this will make your experience the most enjoyable. We have found the best approach is layering for warmth. Long sleeve fleece and light rain proof jackets, along with waterproof pants will serve you well in windy, rainy conditions. Temperatures can change quickly with rain changing to much warmer conditions when the sun comes out. On Alaska charter boats, you don’t want to miss out on viewing a beautiful glacier, a pod of Orcas or a group of feeding humpback whales up close because you are not prepared for rain and chill. Bathing suit – we often enjoy the hot-springs! Shoes – soft, with non-marking soles for the boat. Knee-high rubber boots are extremely convenient for hiking, beach landings and tide pooling. They can be easily cleaned off after various shore activities. Alaska luxury charters offers the opportunity to get off the boat and explore. The Alaskan Story is equipped with an assortment of rubber boots if you would rather not pack your own. Mosquitoes are generally not a problem on board an Alaska charter boat but “no-see-ums” can be in small, quiet, windless coves so bring some bug spray. There will be plenty of opportunities to take pictures along the beautiful Alaska coastline. Make sure to bring extra memory cards or your laptop so you can save your best shots. A good zoom lens or high-pixel camera so you can crop and enlarge pictures will make these experiences richer and more fun. We recommend soft-sided luggage that is easy to store. Our staterooms have drawers and closets but storage is limited. We want you to be as comfortable as possible in your space and encourage you to plan for the storage provided. 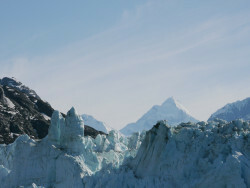 Aboard Alaska luxury charters guests have the opportunity to see and have once-in-a-lifetime experiences. We highly recommend reading up on Alaska, and its history and culture to gain insight into this majestic place before you visit. Below you will find a list of some highly recommended books from our crew and past guests. Fictional Account of true story of four Swedish indenture servant who escape Sitka in a stolen Tlingit canoe and paddle all the way to the Columbia River. A great read!